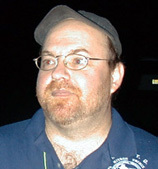 Jim is a Graduate of the University of Tennessee with a degree in Industrial Management. He is the Vice President of Activated Metals & Chemicals, Inc. and President of Precious Metals Corporation (both companies produce catalyst used for manufacture of intermediate chemical products and pharmaceutical applications). He has been cave diving for twelve years. He was the co-leader in the Eagle's Nest Project and Die-Polder II. He discovered the world's deepest blue hole, Dean's Blue Hole at 663 feet, in Long Island, Bahamas. Bill Stone obtained his Ph. 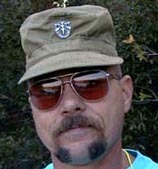 D. in Structural Engineering from the University of Texas in 1980. He has 17 years of structures, dynamics, systems design, spacecraft, and life support research work, including the development of non-line-of-sight real-time metrology; virtual construction site simulators; automated control systems for construction machinery; procedures for conversion of Space Shuttle external fuel tanks into safe, low cost laboratory facilities in low earth orbit; an intelligent, piezoelectric spacecraft reaction control system; the MK1, MK2, MK3, MK 4, and MK 5 Cis-Lunar rebreathers; the portable 6-person underwater habitat used on the Wakulla 1 project and the launch system for the saturation habitat for Wakulla 2; and an autonomous 3D digital full-wall mapper for automated cave surveying. 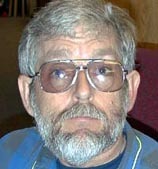 Bill is the founder of the USDCT, and an expert in cave rescue, subterranean lead climbing, and digital cartography. For more than 15 years, Dr. Zumrick was a diving medical officer with the US Navy and the Experimental Diving Unit in Panama City, Florida. As Senior Medical Officer he planned and directed testing of diving procedures, and equipment for the US Navy. He has performed extensive research in diving related hypothermia, oxygen toxocity, mixed gas diving, and saturation diving procedures. He has participated on various experimental saturation dives in excess of 1500 fsw. Additional he has performed extensive evaluations on diving equipment including various types of closed and semi-closed circuit rebreathers. He became interested in cave diving in 1970 and has done extensive exploration in underwater caves over the eastern United States, Mexico, and the Carribean. A veteran of over 2000 cave dives, he has been involved in numerous underwater mapping projects, including the U.S. Deep Caving Team's massive dry-cave and sump-diving expedition to Sistema Huautla in Mexico in 1984. Dr. Zumrick has been an NSS-CDS Cave diving Instructor since the beginning of the program (now emeritus), and has served as chairman of the NSS-CDS, as well as Editor of Underwater Speleology, the bimonthly journal of the NSS-CDS. Directly as a result of his explorations Dr. Zumrick was elected a Fellow of the Explorers Club. Jill Heinerth began her diving career in the Canadian Great Lakes. With an active profession in graphic design, she also began instructing scuba in 1990. In 1992, she sold her business in Canada and relocated to the Cayman Islands in order to put full time efforts into diving. In 1995, she moved to Florida and maintained a vigorous teaching schedule. With her husband Paul, she participated in the 1995 Rio Tuerto Expedition in the Huautla Plateau in Mexico. In 1996 she served as US Director for the Ejido Jacinto Pat Exploration project in the Yucatan. Jill's interests and talent lie in underwater photography and writing and her work has been published in several diving periodicals. Paul made his first cave dive in 1971. Since that time he has logged over 3,000 cave dives and another 2,000 open water dives. 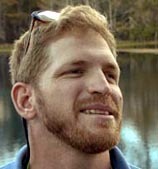 He enjoys teaching cave diving and participating in cave diving expeditions. In 1973, he made his first major discovery when he explored and named the Twin Dees system in Florida. He was a member of the original exploration team of Diepolder from the late 70's until 1990. 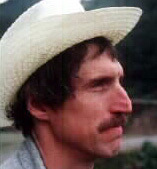 Paul discovered Giant Cave in Belize in 1979 and served as expedition co-leader with Sheck Exley in 1982. Paul was the first diver to traverse the inland Blue Hole near Belmopan, Belize in 1982. For three months in 1987, he participated in the Wakulla Project with Dr. Bill Stone. 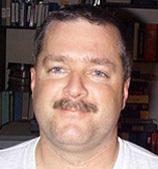 In 1989 he served as a deep support diver for Sheck Exley in Mante, Mexico. During 1990, he teamed up with Larry Green and Jim King in the Eagle's Nest Project. 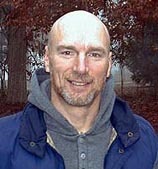 In 1995 he participated in the Rio Tuerto Expedition for four weeks with the US Deep Caving Team in Huautla, Mexico. 1996 was an active year for Paul when he joined Brain Kakuk in the Conch Sound Blue Hole Exploration Project and the Ejido Jacinto Pat Exploration Project in Mexico. In 1997 he and his wife Jill are credited with the discovery of the 310-foot-deep cave system under Sistema Dos Ojos in Akumal, Mexico. Paul Heinerth owns Scuba West Inc. the very first PADI Five Star Training Facility on the west coast of Florida. Paul began teaching open water programs in 1972 and still teaches open water classes today! His hobbies, besides cave diving, are underwater photography, wreck diving, spear fishing, bottle and shell collecting and canoeing. 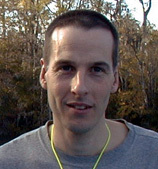 He has authored several articles on cave diving in periodicals and books. Paul also served as the NACD Vice President during the 1980s. Although not officially certified as a cave diver until 1993, Brian has been conducting deep air exploration dives in caves and blue holes on Andros Island, Bahamas since 1990. On Andros he was employed as a contract diver, as well as a hyperbaric chamber operator and supervisor for the US Navy from 1988 to 1995. He has logged over 500 cave dives. Of these dives, 175 are to depths of over 200 ft., 25 are to depths of over 300 ft., and 6 are to depths of over 400 ft. He has been conducting mixed gas exploration dives on Andros Island and the Exuma Cays since 1994. The majority of the dives Brian has conducted have been solo exploration and survey dives, usually using side-mount or no-mount diving configurations. He has conducted exploration dives in the Bahamas, United States, Belize, and the Yucatan Peninsula of Mexico. Since 1995 Brian has been employed by the Caribbean Marine Research Center located on Lee Stocking Island, Exuma Cays, Bahamas, where he holds the position of Diving Safety Officer. At the research center he has conducted many science related cave dives for numerous marine biologists and geologists, which include the collection of various new cave species and speleothem samples for identification and analysis from depths to 280 ft. He has also conducted many exploration dives in the area, including preliminary exploration of 31 separate cave systems as well as extending the known boundaries of four others, exceeding 40,000 feet of new surveyed passages. Matt started diving in 1992 while in Germany. After moving to Thailand in November 1992, he began cavern and cave diving without proper training. After Thailand he moved to Egypt where he began deep diving without training as well. Time passed by and he moved to Honduras. While on a vacation to Mexico, Matt was finally able to take a cavern and an intro to cave diving class in April 1995. From the moment he jumped into a cenote he knew that he had to move to Mexico and dive the cenotes every day. Since February 1996 Matt has lived in Mexico and goes cave diving almost every day. He has been involved in various cave diving exploration projects in Mexico, Belize and the United States. 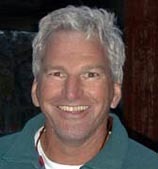 Andrew was certified as diver in 1976, and certified as Australia's youngest instructor in 1980. He was certified as a Full Cave Diver in 1987. Andrew discovered and explored the first known significant underwater cave in Maldive Islands. 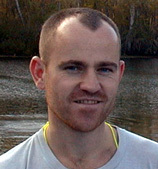 Andrew is a State Representative for Cave Diving Australia for the past 8 years. He was one of two cave divers on the Australian Java 91 Expedition that linked 2 caves forming the longest cave in Indonesia. He has been an active Cave Diving Instructor for past 10 years, and formed "Dive-Tech" dive training and equipment business with partner Carl Close. 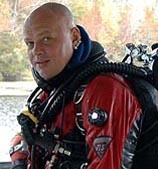 ANdrew studied Trimix under Sheck Exley in Florida 1993, and was certified as a rebreather diver in 1996. He is now certified as a rebreather instructor with over 500 hours on the Draeger Atlantis. He has developed modifications for the Atlantis rebreather. Andrew discovered C28 in Exmouth West Australia with Dave Warren, under direction of Dr. Bill Humphries of the West Australian Museum. He carried out research and discovery of the first "Remiped" discovery in the Southern Hemisphere. 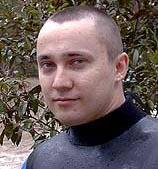 In addition Andrew carried out long penetration of Cocklebiddy Cave in Western Australia to approximately 4500 m on modifed rebreathers with redundancy. Andrew was appointed as an Associate of the Museum of Western Australia, and serves as an advisor on diving technology to the West Australian Maritime Museum. As a lad, John spent most of his spare time clambering up some cliff face. However, as the years progressed, he began to realise that he had a natural disposition to peel off the rock and plumet back down to earth. He hypothesised that if he climbed underwater, he wouldn't be hurt when he fell. And so began his wet climbing career. John's cave diving career followed a normal progression for a city lad. Starting first in the rain puddles outside his house, he progressed to exploring the drain pipes in the street. Naturally, this lead to bigger pipes and as luck would have it, his first ruptured pipe. This particular rupture lead him into the dark and wonderful expanses of the unknown, deep below the footpaths of the next suburb. The concept of going where no man has gone before was appealing. And so an adventurer was born. After mapping every lead from every known ruptured pipe in his city, he set his sites on bigger things. He made his way around the world, exploring the leads from ruptured pipes in several countries. During one such trip to Florida, a pipe he had been pushing was finally walled - the pipe finished pouring into the wall of a cave system. Although a strange concept to John, he thought that exploring a cave might be fun for a change. Once again, a whole new sport was opened to him. He has spent the last few years exploring Australia, Mexico, Florida and the Middle East. Barbara began cave exploration in 1974. In 1995 she obtained her Ph.D. in Geology from the University of North Carolina at Chapel Hill. 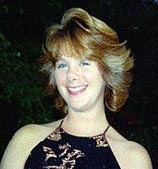 Barbara has previously worked as a geologist with the Bureau of Land Management, a hydrologic technician with the US Geological Survey, was a lecturer in Geology at the University of Maryland, and as of 1998 works as a computer programmer for the National Institute of Standards and Technology. 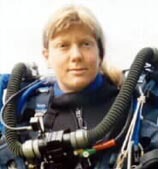 As a member of the San Agustín Expedition in 1994 she helped extend the Huautla Cave System to -1475 m depth using the Cis-Lunar MK-4 rebreather, making Huautla the deepest cave in the Americas. 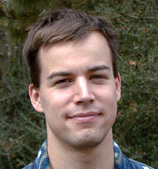 Christopher Brown is an alumnus of St. John's College in Annapolis, MD. 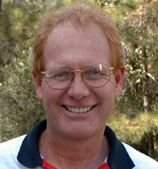 He has worked in the film industry since 1976, and in 1981 became an independent film and video producer whose clients include: Walt Disney Theme Park Productions, NGS Educational Films, WNET's "Nature", Medill News Service, American Movie Classics, the Kansas State Film Commission, the Museum of Florida History, and the Florida Department of Environmental Protection. 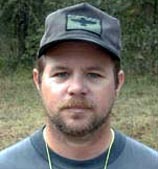 A member of the documentary crew for the 1987 Wakulla Springs Project, he was certified in cave diving in 1989 and has since been responsible for the discovery and initiating the exploration of five virgin cave systems in the Woodville Karst Plain, Wakulla Spring's home geological region. Chris headed a consulting team conducting a soundstage feasibility study for the Kansas State Film Commission. He was the archivist, under a Federal Grant, of over 200 hours of Florida Development Commission Films (1940-1975), working at the Florida Bureau of Archives and Records Management, viewing, describing, and conserving the collection and authoring the catalog. As Sci-Graphica Public Relations, Chris is a global distributor, via the Internet, of diving videos about cave and wreck diving exploration. He is a diving consultant on hydro-geology related projects for state agencies and private land owners. Chris' published articles on scuba technology, cave diving safety and biology have appeared nationally and internationally in Sport Diver, DeepTech, Scuba Times, aquaCorps, Asian Diver, DiveLog New Zealand, and the Journal of the National Association for Cave Diving. 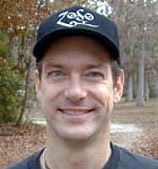 Todd Bryan was born July 6, 1974 in Tennessee, USA. In 1996 he received a B.S. degree in physics/engineering from Washington and Lee University. 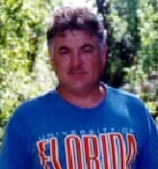 From 1997 to 1998 he worked as a uniformity team analyst at Yokohama Tire Corp. After his stint at Wakulla, Todd will enter the University of Tennessee as an M.S. candidate in computer science. 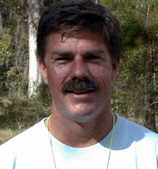 As a caver, Todd has explored and surveyed extensively in Virginia and Tennessee. 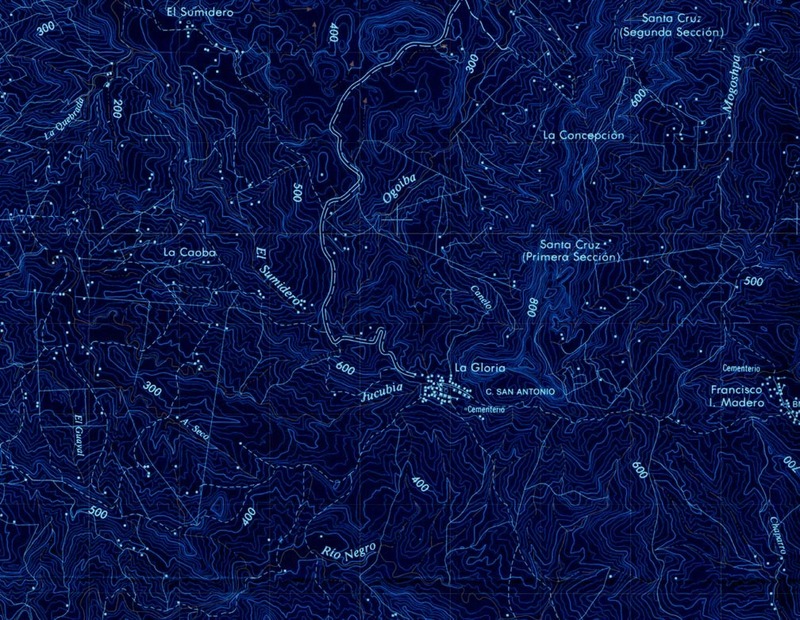 He is currently co-project leader and cartographer for the Black House Mountain Project, and effort centered on large, previously unknown caves in Fentress County, Tennessee. John S. Buxton, born Derby, England May 29th 1931 lived near and in Derby until 20+ years of age. During WW2 coastal holidays were not available (barbed wire, etc.) so holidays were spent in Derbyshire Dales. They saw many enticing mine entrances and cave openings, but a safety conscious mother would not allow them near. When John went college [BSc horticulture (Nottingham)]. John joined the mountaineering club when he realized they had a caving section and visited the Derbyshire Dales! Many cave trips were halted by water pools and not a lot of free diving took place. When John discovered divers had been through these sumps he could not join fast enough. He began training with ex-government oxygen rebreather equipment, and his first cave dive was at Keld Head in Kingsdale, North Yorkshire on August 31, 1952. Later diving included Wookey Hole, Somerset. Most of John's diving training was done by Dr. R. E. (Bob) Davies, the leading diver of his generation. 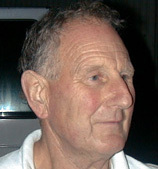 He did two dives with Graham Balcombe before he retired; he was one of the founders of the Cave Diving Group. 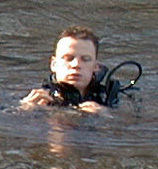 Later Oliver Wells joined the CDG, and Bob, Oliver, and John were part of the operation in Wookey Hole when Bob got lost in muddy water while using an early twin hose aqualung. Having found an air surface he waited for three hours for clean water before making his escape "the night of the 13th." This short duration aqualung turned opinion against the use of air and the active members began to use semi-closed circuit equipment using oxygen/nitrogen mixtures now called "nitrox." The first use of these kits was in Hurtle Pot in Yorkshire when a depth of some 45 feet was achieved. Soon Oliver Wells and John were training up other "mixture" divers. Progress into the deep water beyond Chamber 9 was steady. Oliver Wells departed to work in U.S.A., and John was the lucky person to penetrate the small hole called "The Slot" into the 15th chamber at a depth of 70 feet in 1960. Later, practice took place to a depth of 140 feet using a 40/60 mixture. At this time John resigned his membership and chairmanship of the CDG for financial reasons. 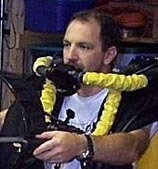 Many years went by and John started to dive on air with a local subaqua club. Oliver Wells came to the U.K. on holiday and often stayed with John. He sometimes dived at Wookey and eventually persuaded John to join him on a dive, and he was hooked! Money was not such a problem any more and he soon got fully equipped. John did several trips with the Rob Palmer Blue Holes Foundation in the Bahamas and dived in the Acklins and off Andros in the fracture caves. 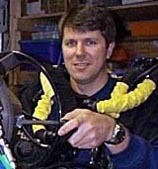 John is qualified as a scuba technician (ASSET), advanced nitrox (IANTD), and nitrox technician and gas blender (ASSET). Patty is a self-employed marketing consultant and graphic designer. Together with Jill Heinerth they produce "Women Underwater," a publication dedicated to promoting the accomplishments of women divers. Patty is NSS-CDS Full Cave Certified, IANTD Trimix Certified, and a PADI Recreational Scuba Diving Instructor. 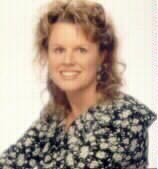 She also is licensed Realtor specializing in New Construction Sales for Robin Hill Development Corp. Patty resides in suburban New Jersey with Ren, her husband and Porsha, her Springer Spaniel, both of which needed to sacrifice their "caretaker" during this expedition! Patty and her husband are avid North Atlantic Wreck Divers that head for the underwater caves when their schedules permit. Brian was born in New Hampshire in 1942, but soon moved to Vermont. He was always interested in the water. Brian and his father built several wooden boats in their basement, one of which they water skiied behind for years. 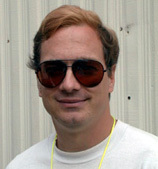 Brian had his Amateur Radio License at the age 14. He obtained an EE degree at the University of Vermont, graduating in 1964, and did further graduate study back at the University New Hampshire. During this time Brian also got involved with cave exploring, rock climbing, mountaineering, motorcycling, and scuba diving. He got a good taste of the ocean with a summer job at Wood's Hole Oceanographic Institute. In 1966 Brian started work at what was then the Navy Underwater Sound Lab, in New London, CT, working with antennas and communications for submarines. As part of his work he traveled all over the world, from the Arctic Pack ice to Antarctica. 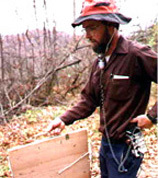 He added canoing, sailing, cross-country skiing, and winter mountaineering to his hobbies, but also started toying with inductive "cave radios" for locating specific points in caves on the earth's surface. He had his first working device in 1977 which slowly evolved into the equipment being used on this expedition. Brian later finally got married - luckily his wife Bonnie understood what she was in for as her father was also an engineer! Brian retired early in 1996 but continues to consult part time. He currently splits his time when not consulting between sailing, ham radio, motorcycling, mountain biking, caving, climbing the high points of each state (2 easy ones to go! ), crosscountry skiing, Mexican cave expeditions, and radiolocations in caves. Jim is the project's equipment manager. Jim oversees the maintenance and repair of equipment on a day to day basis. He has been involved in diving for 24 years, 18 of which were on a professional level. Jim has been involved in such projects as The Eagles Nest Project, Red Snapper Sink, Die-Polder 2 and Deans Blue Hole. Noel is an anesthesiologist at Methodist Hospital and Regional Trauma Center in Indianapolis, Indiana. An NSS life member and former Medical Officer for the National Cave Rescue Commission, he has been active in cave exploration since 1970. As a regular participant in caving expeditions throughout the world, his friends often call him "Dr. Vacation." 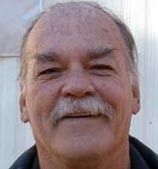 He began sump diving in 1974 in his home state of Texas. Noel began cave diving in ernest when he joined the USDCT in 1983 in prepartion for the 1984 Peña Colorada Project. 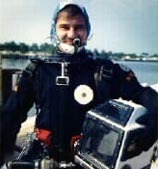 He began mixed gas diving at the USDCT Wakulla Project in 1987. He has been actively involved with the development and test diving of the Cis-Lunar MK1, MK2, MK3, and MK4 rebreathers since 1987. Noel is a certified NSS CDS Full Cave Diver, IANTD Technical Instructor, and a DAN O2 Instructor. Fred L. Wefer was born in Gary, Indiana, on October 3, 1943. He was raised in southern Illinois, attended the University of Illinois, the University of Miami, Wesleyan University, and the Pennsylvania State University where he received a Ph.D. in Astronomy in 1973. He is currently employed as a Systems Engineer at MITRE Corporation in McLean, VA.
Fred began caving in 1966 with the Nittany Grotto in central Pennsylvania, and has caved extensively in the U.S., Mexico, Europe, Africa, and the Caribbean. He was a member of the team that set the international cave depth record at 1330 meters in the Pierre St. Martin cave system in the French Pyrenees in 1975. He was a member of the team that surveyed the Abyss of Provatina, explored caves and pits on the Astraka Plateau, and opened up the Tymphe Range for detailed exploration in Greece in 1977. He was a member of the 1986 Dominican Republic Speleological Expedition, and was the co-leader of four successive expeditions to that Caribbean island. He was a member of the Iceland 1993 Kalmanshellir Expedition which surveyed the longest lava tube on that Atlantic island. He was a member of the Barbados 1994 Harrison's Cave Expedition which performed scientific research in this Caribbean show cave. 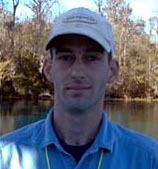 Fred was selected to head the visualization team of the 1997 Wakulla Project. Fred has been active for more than two decades in surveying the caves of Burnsville Cove, VA. 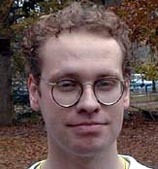 He does research in cave meteorology, cave survey techniques, and the computerized display of three-dimensional cave maps. He is former chairman and Honorary Life Member of the Nittany Grotto, and is a Fellow, a Life Member, and currently the President of the National Speleological Society (NSS). He is a founding member and a life member of the Butler Cave Conservation Society (BCCS), Inc., the non-profit science, education, and conservation corporation that manages the largest and the deepest caves in the state of Virginia. Copyright © 2019 U.S. Deep Caving Team, Inc.
All rights reserved. No portion of these pages may be used for any reason without prior written authorization.